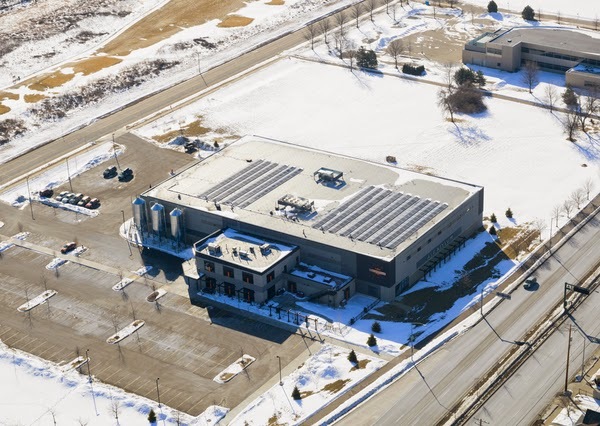 One month after activating a 100-kilowatt rooftop solar electric system, Madison-based Ale Asylum became the first brewery in Wisconsin to sign onto the Brewery Climate Declaration, a national campaign calling attention to the specific risks and opportunities of climate change on the $246 billion industry. Launched this spring by Boston-based Ceres, a nonprofit advocacy organization, the Brewery Climate Declaration has attracted endorsements from more than 50 beer producers across the nation, ranging from local craft breweries like Ale Asylum to major international brands like Guinness and Sierra Nevada. On Earth Day 2015 (April 22nd), Ale Asylum hosted a celebration of their solar-powered beer along with SunPeak, a Madison-based company who developed the rooftop system, and RENEW Wisconsin, a statewide renewable energy advocacy organization. greenhouse emissions is a great thing!" Ale Asylum’s array is the newest of a quartet of recent installations in Dane County equaling or surpassing 100 kilowatts (kW). The other three systems serve the City of Monona (156 kW), Holy Wisdom Monastery in Middleton (146 kW), and Dane County Airport’s new maintenance facility (100 kW). Consisting of 480 panels facing east and west, Ale Asylum’s installation should generate about 150,000 kilowatt-hours per year, the most productive of any solar system operating in Madison today. That is equivalent to the electricity needs of about 16 average Wisconsin homes.“SunPeak’s niche is in dovetailing international experience, where solar is far more mature and established, with the U.S. market to uncover unique value creation and proposition to larger customers like Ale Asylum,” said company president Chad Sorenson. “Ale Asylum’s solar installation and participation in this declaration demonstrate its committed corporate leadership. 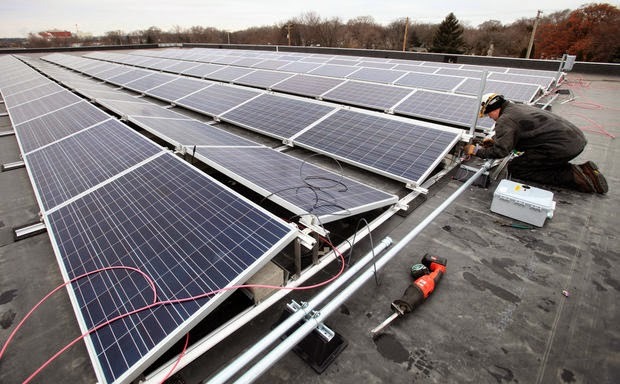 Going solar saves money, and Ale Asylum is just the latest example of this growing trend in Wisconsin,” said Tyler Huebner, Executive Director of RENEW Wisconsin. For more information about Ceres’ Brewery Climate Declaration, see link below. RENEW Wisconsin leads and accelerates the transformation to Wisconsin’s renewable energy future through advocacy, education, and collaboration. More information on RENEW’s web site at www.renewwisconsin.org.